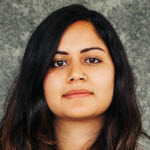 Shruti is a Lead Experience Researcher at Airbnb on the Support Products team in Seattle – she focuses on improving the customer service experience for guests and hosts. She’s an alum of Carnegie Mellon University where she completed her degree in Human-Computer Interaction and developed a soft spot for Pittsburgh. Shruti finds people to be the most fascinating and as a researcher, she gets to delve into their behaviors and intricacies. Recently, she has taken to spending time outside of work at her local pottery studio.